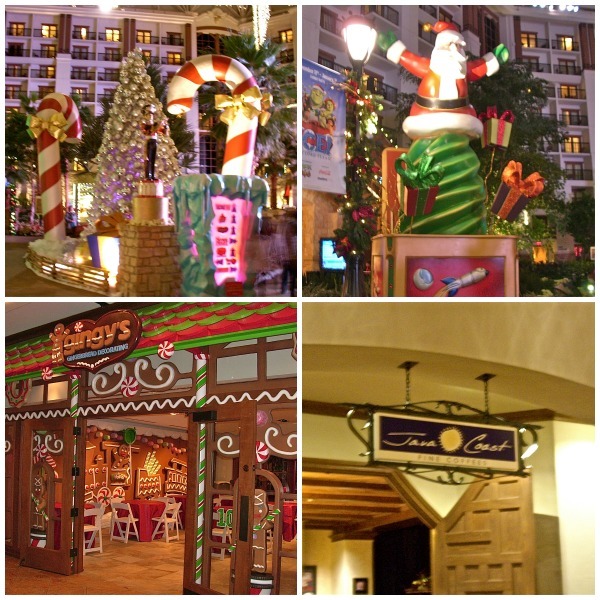 My Favorite Christmas Activities in DFW! The DFW area is such a fun place to be at Christmastime. I thought I’d share of my favorite places to go and things to do during this time of year. I hope to continue to add to my list of favorite this year by doing something new to my list. Hopefully, once we get rid of all this ice we will be able to get out and go have some fun! Going to see the huge Christmas tree at the Galleria Mall in Dallas. 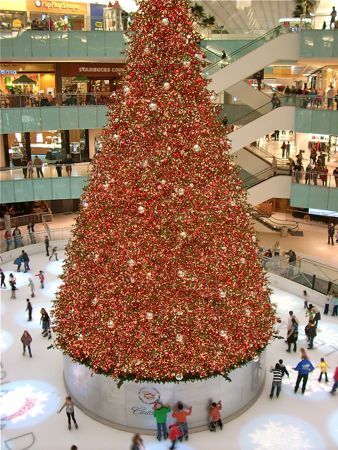 We started going to the Galleria at Christmas time a year before we ever moved to the Dallas area back in 2005. It’s become a tradition for us to go see the tree every year. 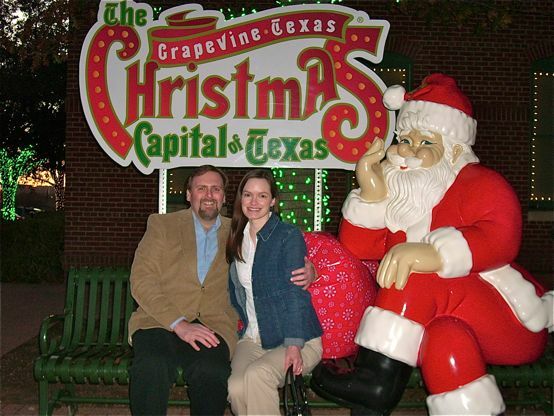 There are all sorts of Christmas activities happening in Grapevine during the month of December. I’ve listed my favorite below, but you can see a complete list of what is happening during the holidays here. This hotel is beautiful any time of the year, but it’s especially beautiful at Christmas time. 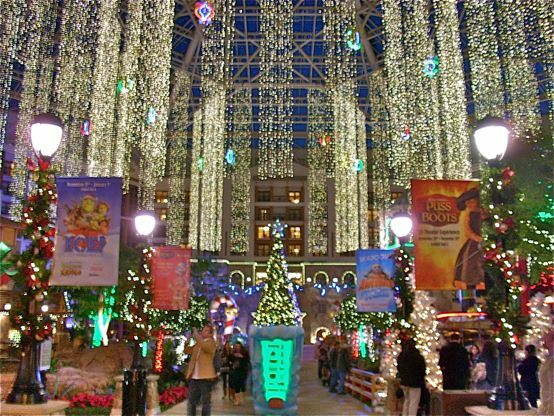 The atrium area is full of fun Christmas decorations, which include 5,600 feet of garland, 15,000 Christmas ornaments, and 1.5 million lights to look at. Kids can decorate gingerbread cookies or even a whole gingerbread house at Gingy’s Gingerbread Decorating shop. We love to take our time looking at all the decorations and then stop into Java Coast for a cup of coffee. We haven’t actually gone through one of their popular ICE! exhibits, but the pictures I’ve seen are amazing. This years theme is The Nutcracker. The exhibit features 2 million pounds of hand-carved ice sculptures and slides! Parking isn’t cheap at around $12 or $13 dollars, but you can get your parking validated if you spend $25 at a restaurant. I think parking is also validated if you buy tickets to the ICE! exhibit. The choreographed light show at Frisco Square is really fun to drive through. We like to drive through, park towards the back of the square and walk down to Mattitos Mexican Restaurant for dinner. Other activities include a small ice skating rink and carriage rides through the square. This place can get extremely packed, so I suggest going earlier in the week rather than on the weekend if possible. I have somehow managed to not have any pictures of Christmas in the Square, but this short video is probably a better example of what it’s like. Other favorite activities include driving through neighborhoods to look at Christmas lights. We usually grab a cup of coffee or hot cocoa and spend a couple of hours driving around. This neighborhood has a large number of great holiday decorations. There are also carriage rides available during the month of December. The neighborhood is located north of Legacy Drive and south of Hedgcoxe Road, between Ohio Drive and Coit Road. This is a very popular neighborhood at Christmas, so try going earlier in the week to hopefully avoid some of the major traffic. Fortunately, we found a new house right here in McKinney that puts on a very impressive choreographed light show! The McKinney Christmas house has tons of lights and features numerous songs. They also have a Toys for Tots collection box outside by the curb every year. I’m not sure if they are still collecting at this point or not. I do know that this ice storm disrupted some of the toy drives here in the area this weekend. The Mckinney Christmas house is located near the intersection of Highway 121 and Alma road at 7805 White Stallion Trail. It’s definitely worth a stop if you are in McKinney or a nearby city! There are way too many activities to list all of them, and these are just a few that have become favorites of mine. What are some of your favorite Christmas traditions? Favorite places to go during the holidays? By Tempie at December 10, 2013 .